Portugal's Silver Coast (known as the Costa de Prata) stretches across the Estremadura region and features cities like Coimbra, Nazare and Obidos. The region has traditionally been a favorite holiday region among the Portuguese and is slowly being discovered by foreigners who are attracted to its unspoilt nature, spectacular beaches and historic sites. 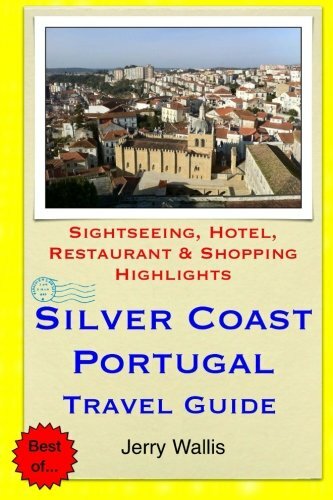 Introduction to the Silver Coast, Portugal - Overview - Culture - Location & Orientation - Climate & When To Visit - Sightseeing Highlights - Coimbra University & Joanina Library - Museu de Machado de Castro - Coimbra Old Cathedral - Monastery of Santa Cruz - Portugal dos Pequenitos - Figueira da Foz - Shrine of our Lady of Fatima - Convent of Christ, Tomar - Batalha Monastery - Alcobaca Monastery - Nazare - Obidos - Recommendations for the Budget Traveler - Places To Stay - Comfort Inn Almedina - Best Western D Luis Hotel - Hotel Vitoria - Hotel Magic - Albergaria Josefa D Obidos Hotel - Places To Eat & Drink - Ze Manel dos Ossos - Cafe Santa Cruz - A Tasquinha - Restaurante Slavo - O Caldeirao - Places To Shop - Forum Coimbra - Condeixa - Alcobaca Square - Grande Mercado Medieval de Obidos - Oppidum"